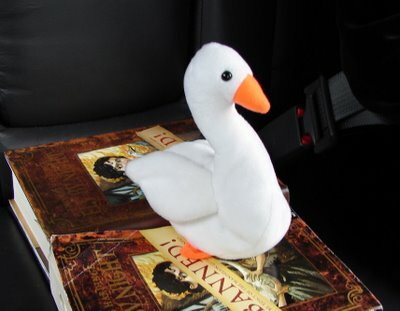 Kite houses and a homicidal goose – pictures of items from the world of Fly By Night, found on Frances's book tour. 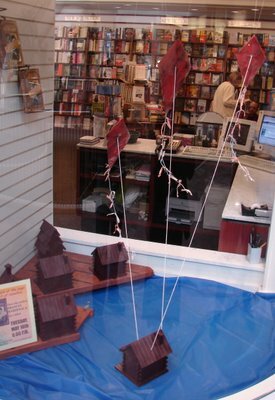 Kite House – During Frances' US publication tour she visited Books Inc. in Burlingame and found this this kite-propelled floating coffee house, complete with a tiny goose. They were the handiwork of a wonderful man named Christopher Stroth. Saracen Lords – On the way to his appearance at the Edina Community Library, Saracen rehearses his role in the talk. 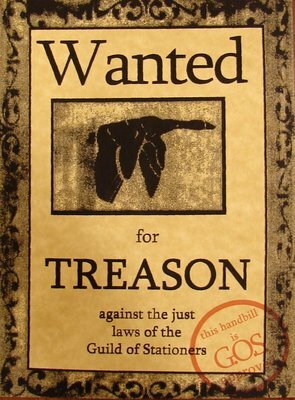 Treason Poster – A handbill created by Christopher Stroth of Books Inc. alerting readers to a treasonous goose. Saracen nonetheless escapes the evening without being apprehended. 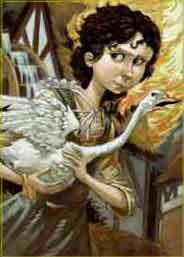 Mosca – escaping with Saracen.